The new pension rules have made it possible to leave your fund to any beneficiary, including a child, without paying a 55% ‘death tax’. If you die before the age of 75 your beneficiaries will inherit your fund completely tax-free. 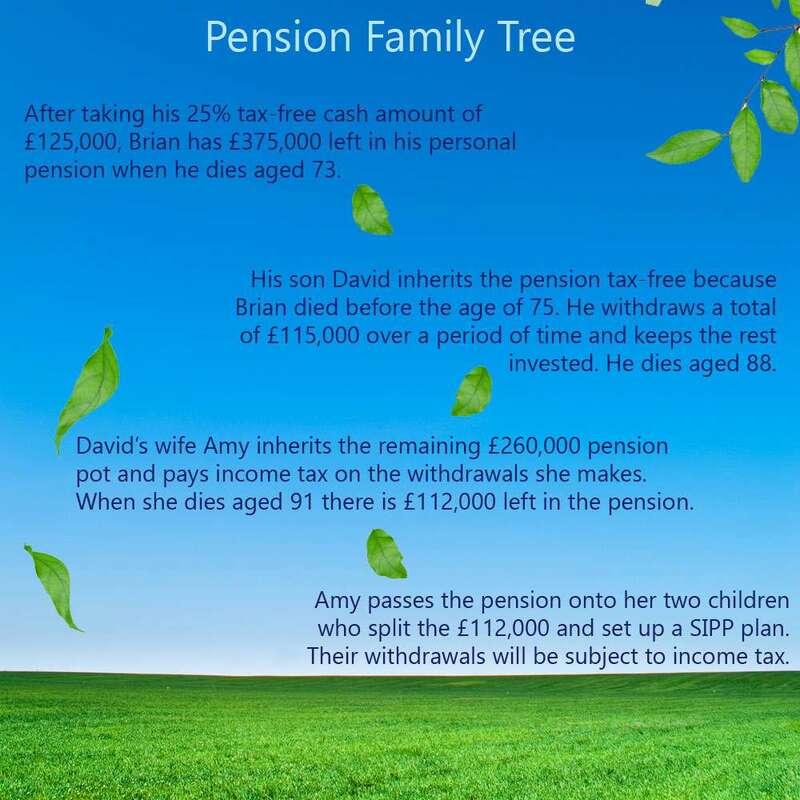 If you die after the age of 75 the recipient will pay income tax on any withdrawals they make. Also, until April 2016, a 45% tax charge will apply if they remove the entire fund. Another new change is the flexibility to leave your fund to whoever you wish. Prior to the reforms you could only leave it to someone who was financially dependent on you, such as a child or spouse, but now you can choose anyone to be a beneficiary. Be sure that the way in which you take your pension allows you to pass it on to your loved ones. In broad terms the new rules apply for those who have kept their money invested or are in income drawdown. With an annuity, you can nominate a beneficiary and pass on the income as long as it is on a joint life basis or if it has a guarantee period. Check how well your fund is performing to see whether you’ll have enough left over to pass on. Also take into account how much you are likely to need to live on when you retire, bearing in mind that we are all likely to be living longer in the future, which, in turn, will put more pressure on your pension pot. The world of pensions can be complex enough when just considering what is best for yourself – let alone your family. A financial adviser can help you review your pension’s performance; features which may or may not affect its accessibility to your loved ones; and the most appropriate options open to you when it comes to take your pot. If you wish to consider pension transfer (pension switch) they will also walk you through your options.